Republicans in the Florida legislature voted down a motion on Tuesday that would have allowed the state body to CONSIDER a bill that bans assault weapons in the state. They voted down the measure as victims and survivors of the recent school shooting watched in horror, realizing again that their elected representatives care more about NRA money than they do about the lives of young Americans. Ring of Fire’s Farron Cousins discusses this. On Tuesday of this week, lawmakers in the State of Florida voted on a measure that would have allowed the body, the state legislative body, to consider a piece of legislation that could have banned assault weapons in the State of Florida. This piece of legislation was in response to the recent shooting in Parkland, Florida, and survivors of that mass shooting were actually present at the State Capitol as this vote took place. But here’s what happened, it didn’t pass. Do you know why? Because republicans in the State of Florida who control the state house and the governorship, and every other office in this state, voted against it. Not against the actual bill, mind you. They voted against a motion to consider the bill. 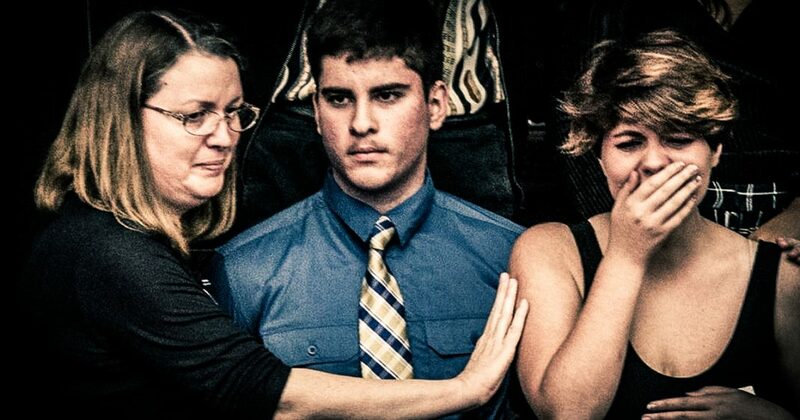 They’re so beholden to the NRA that they wouldn’t even bring the bill to the floor for consideration, as these horrified students and parents looked on. They, with that vote, said, “You know what, NRA money is more important than your lives, children up here in the balcony watching us. The NRA money is more important than keeping children safe. So we won’t even allow consideration on this piece of legislation because we don’t care.” That was the message that they sent to these children and to the parents who lost their children, and to every other victim of mass shootings across the country. We don’t care. That is the only thing that we need to take away from this, not that there were procedural votes, or that maybe they’ll bring it up later. Or that maybe Florida Governor, Rick Scott could come up with some kind of plan to protect Florida schools. Right now his plan is basically to station armed guards out there as if schools are now prisons because he won’t do anything about the guns. But the bottom line is they don’t care. They want to solve the problem with more guns and who benefits when there’s more guns? The NRA, the gun manufacturers, and of course, the makers of teeny tiny coffins who get to sell more of those when somebody goes in and shoots up a school. Because maybe the guard was around at the other entrance, so the shooter just walked in a different one. Or maybe the guard was on his break, maybe he was having lunch, so that’s when the shooter struck. Arming teachers, arming schools, having guards there is not going to solve the problem. Getting these weapons off the street that are capable of firing 45 rounds every 60 seconds, which is what the AR-15 is able to do, that is what is going to keep people safe. If we do not take that step, if we do not ban assault weapons, if people like those republicans in the State of Florida continue to vote these measures down and don’t even allow them to come up for consideration, this problem is going to continue unabated. The only thing republicans will do is cash their NRA checks and then send us their thoughts and prayers.